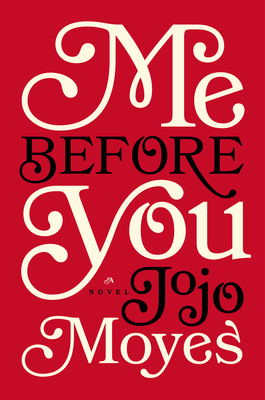 Last year, I reviewed a wonderful novel called THE LAST LETTER FROM YOUR LOVER by Jojo Moyes. I was extremely impressed with Ms. Moyes' storytelling abilities, and I knew I wanted to read more by this talented author. I was excited to learn that she has a new novel called ME BEFORE YOU which comes out later this month. I received an advance copy at this year's BEA and can't wait to read (and review) it within the next few weeks. And now for some great news... thanks to the publisher, I have a galley of ME BEFORE YOU and a beautiful poster to share with one lucky reader. To enter, just fill out the form below before December 15th at 11:59 p.m. ET. I will randomly select and notify the winner the following day. This contest is open to those of you with U.S. addresses only. Good luck! Loading... Note: On December 6th from 1-2 p.m., Ms. Moyes will be participating in a Twitter interview (hosted by Publishers Weekly). If you’d like to tune in to the chat, you can follow the hashtag #JojoPW. Looking forward to your review. Thanks for hosting the giveaway! Oh sounds good. thanks for the giveaway.